Whether you have a school-aged child or not, I’m quite certain that you’re familiar with the Common Core initiative. Launched nationwide in 2009 as a means of collectively defining expectations for what every child should know and be able to do when they graduate from high school, there continues to be much debate about the efficacy of this initiative. While I certainly have my own opinions on this topic, the purpose of this blog is not to partake in the debate about whether or not Common Core is working, but rather to introduce you to another core that unfortunately takes a back seat in a large number of classrooms throughout the country. I call it the Human Core. Unlike the pages and pages of Common Core objectives, which are academic in nature and primarily aimed at career readiness, the Human Core has nothing to do with academics and everything to do with preparing students for success in life. So what is this Human Core, you might ask? Simply put, it’s the social and emotional well-being of every student that enters a classroom. 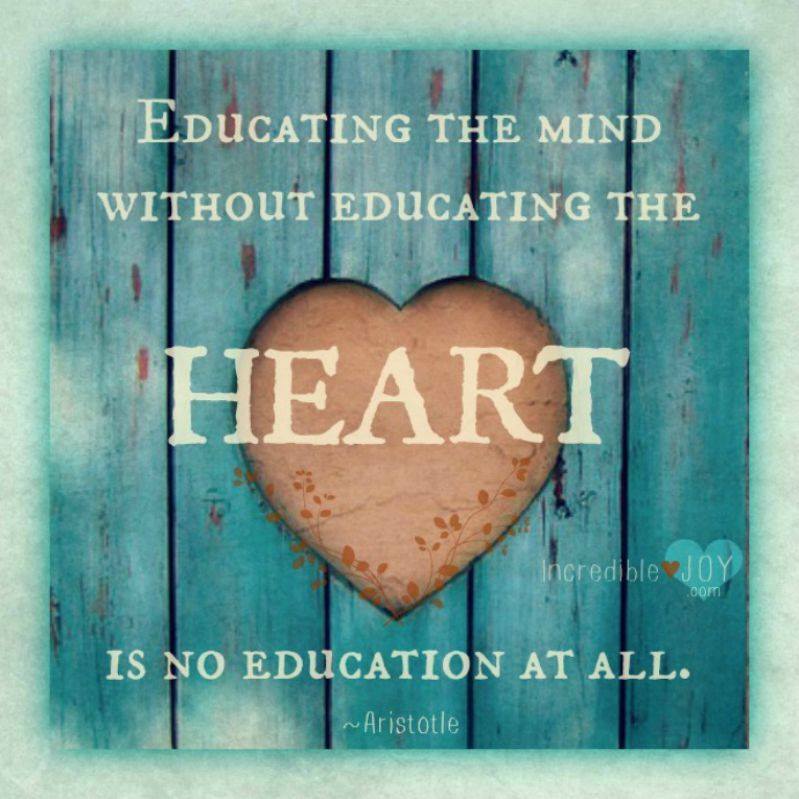 Put another way, it involves the process of educating the hearts of students, not just their minds. While millions of dollars are spent designing tests that measure the academic success of students, millions are lost in workplace productivity each day because of the lack of Human Core competencies on the part of employees. Preparedness for career is an admirable goal, but I believe that true success has much more to do with the Human Core than it does the Common Core. Why then are we not addressing this in every classroom in America? Below are three classes that I believe every child should be required to take, every year. Not surprisingly, they all address the Human Core. In this class, students will have an opportunity to look introspectively at why they make the choices they make. They’ll gain a deeper understanding of the power of thoughts and emotions and learn to manage both of these with proven tools and strategies, which are backed by scientific research. Although class instruction will be administered by a teacher, students will be encouraged to create change from the inside-out by owning and applying the skills individually. In this class, students will examine the critical components of effective relationships. Unlike the surface relationships they’re exposed to on social media, students will be asked to participate in real face to face communication, which requires the use of eye contact and empathic listening. Conflict resolution strategies will also play an integral role in this class. My sincere hope is that the school of the future will place an equal emphasis on the Human Core as it does the Common Core. What other non-academic classes would you like to see added to school curriculums? Please share your ideas in the comments section below. I’d love to hear your insights.